Prevent injury from dropped objects falling through hand railing. 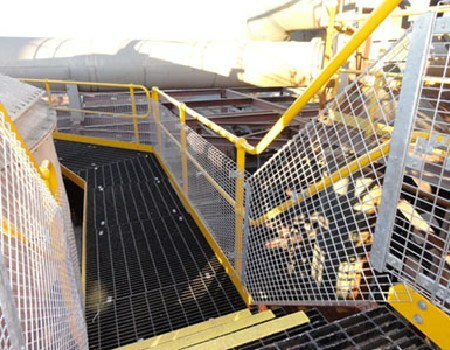 Prevent personnel from leaning through and standing or stepping onto the mid rail of your safety barriers and handrails. Promote the required 3 points of contact during access and egress of stairs. 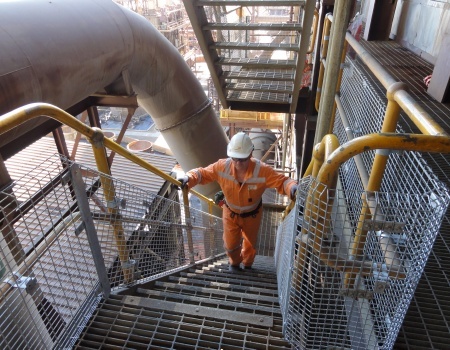 Our “Dropped Object Prevention System” is able to be installed entirely from inside your existing safety barriers, platform and stairs without the requirement of working at heights. 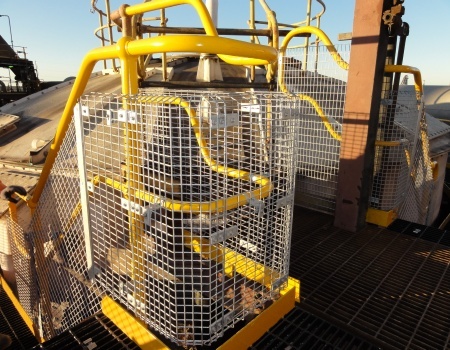 Be installed with little or no interruption to your schedules, maintenance or production. Be installed without welding or hot works. 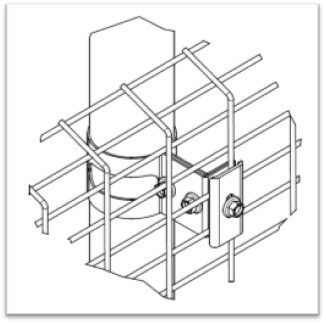 The key to RetroGUARDs’™ fast and safe installation is our unique patented bracket design, which not only accommodates various panel styles and materials to meet specific area requirements, but allows the system to be installed completely from within the existing safety rails. Our “Dropped Object Prevention System” provides full coverage along the total length of your handrail system including the internal and external corners. Pro3 Safety's exclusive design D48 & D34 brackets and all our panels have been independently certified, and not only adhere to Australian Standards, but are engineered for your maximum safety in mind. 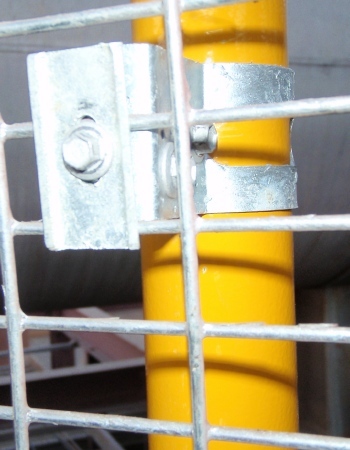 Our safety panel system maintains the existing handrail integrity and can be quickly and easily removed to provide vital access to areas for maintenance works. * Webforge™, Weldlock™, Monowills™, Locker™ and other dimensionally compatible brands.